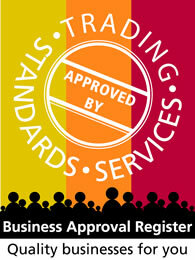 Porch refurbishment including dry lining, plastering, joinery, floor tiling and painting in Stockport. 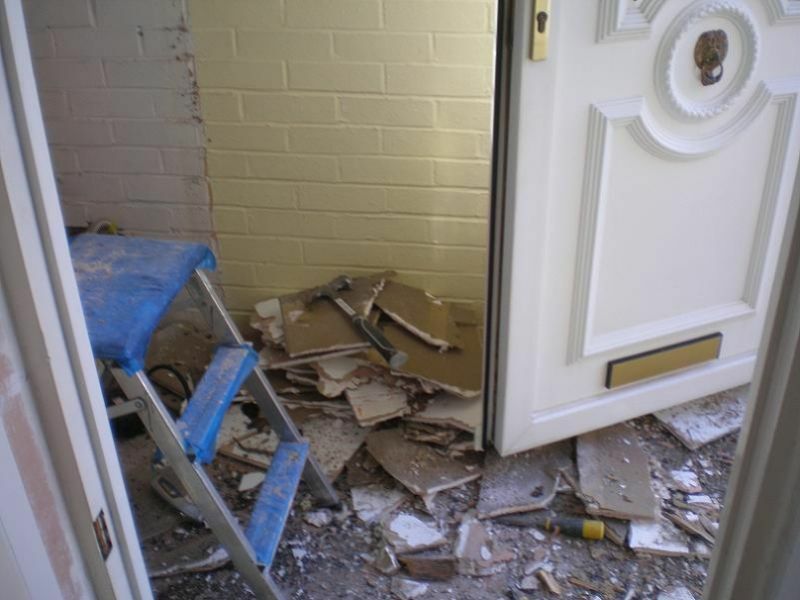 This entrance porch was in desperate need of a facelift. 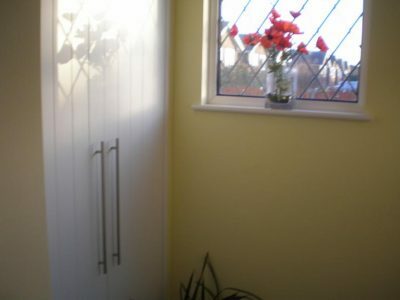 The harsh bare brick walls had been painted in an effort to soften their appearance and there was a rather dated cupboard used to store coats and shoes aswell as housing the gas and electric meters. 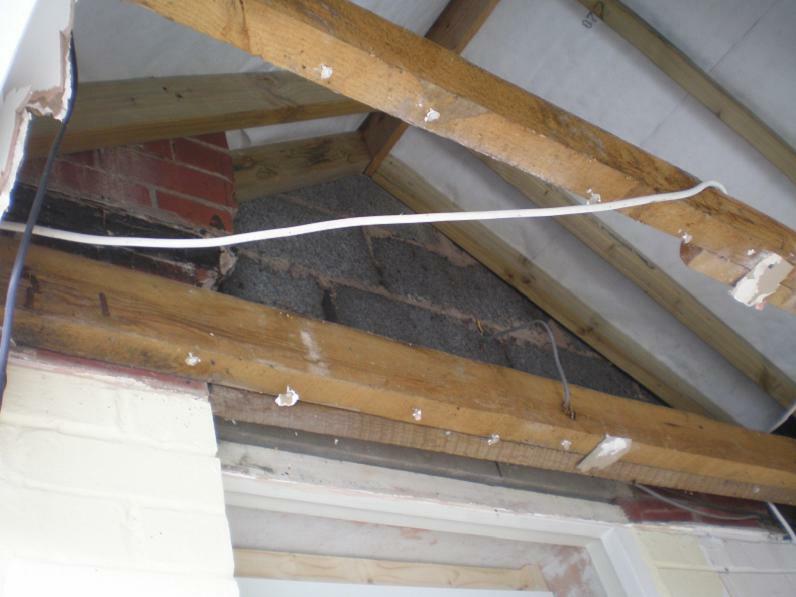 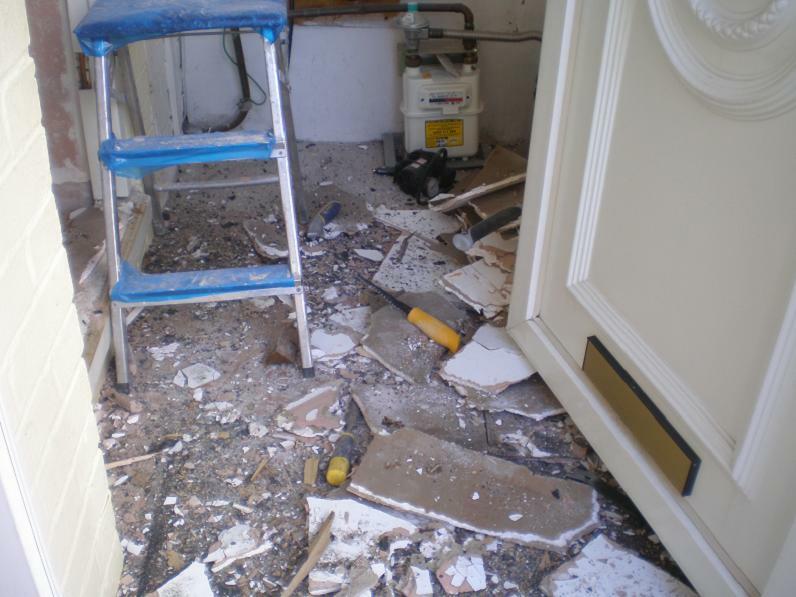 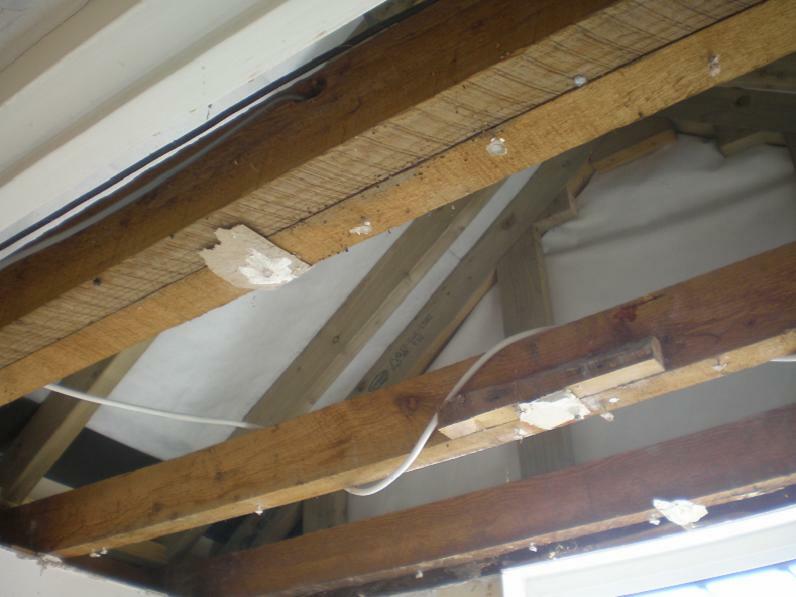 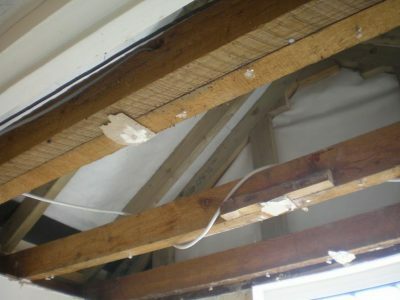 Work commenced by dismantling and removing the cupboard and then taking down the ceiling, which was in poor condition. 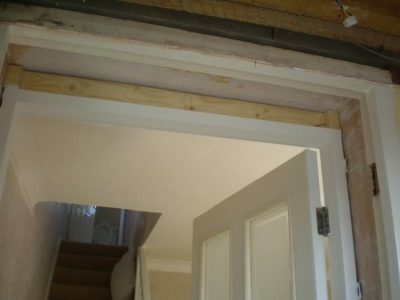 The interior door and frame, which opens into the lounge, were removed and a new door and frame were repositioned to allow slightly more room in the porch. 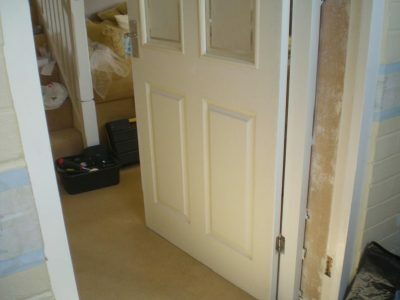 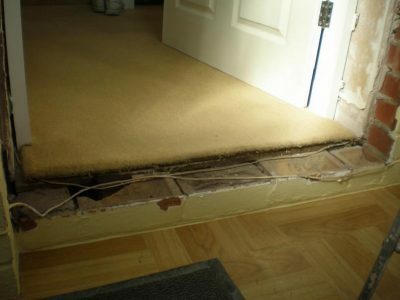 This also meant the lounge door now sat flush with the lounge wall. 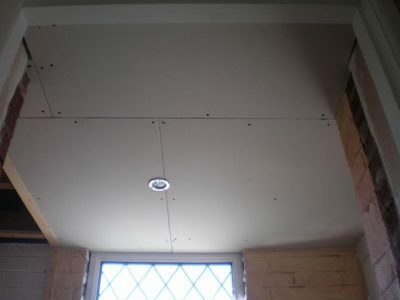 A new ceiling was installed and then the bare brick walls were dry lined (plasterboarded) in preparation for plastering. 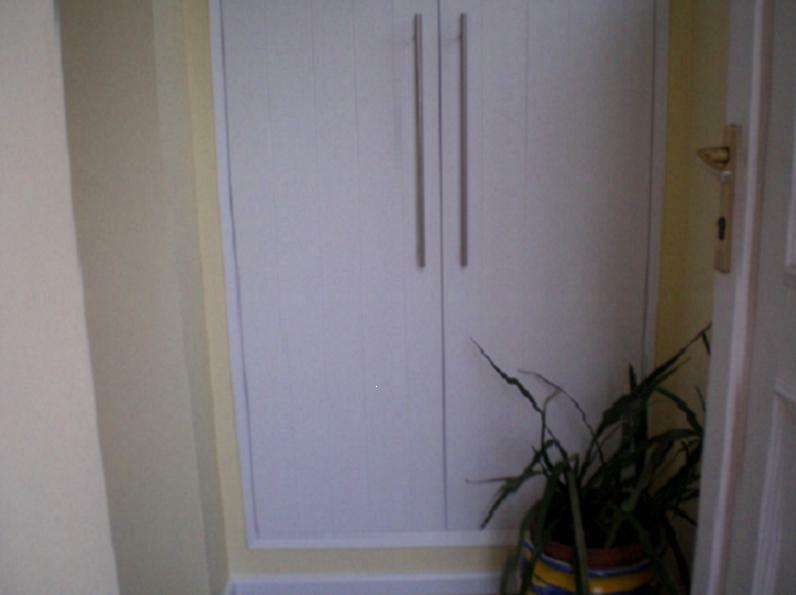 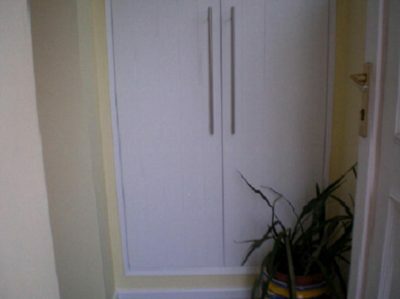 A ‘built in’ cupboard was constructed and then the ceiling and walls were plastered. 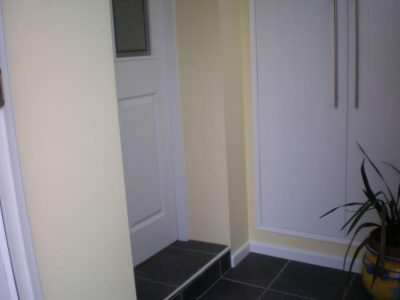 Skirting board was fitted and then the floor tiled and grouted before the final task of painting began. The finished porch is now a modern, bright and welcoming space.